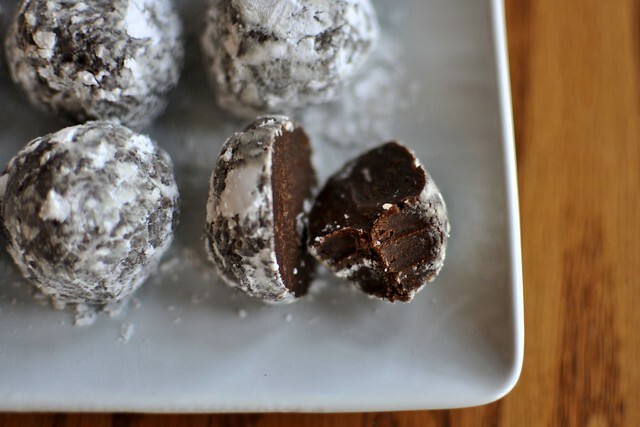 The latest issue of The Local Palate (Charleston's stunning new culinary magazine) shared a recipe for traditional rum balls that I just couldn't ignore. The recipe comes from Lauren Mitterer of Wildflour Pastry (one of the best bakeshops around) and it is perfection. It's impossibe to go wrong with a dessert that's basically a rum brownie, but don't underestimate the rum, and do think twice before you eat a couple for breakfast (ahem). 1. Preheat oven to 350 degrees. Grease a 9x13 baking dish. 2. 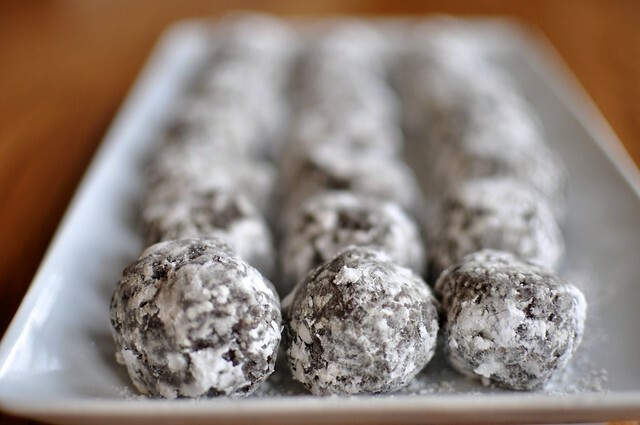 Combine cocoa powder, salt, baking powder, and flour together and set aside. 3. Mix butter and sugar together in a mixing bowl until combined. Slowly add the eggs and vanilla. Add flour mixture all at once, mixing just until incorporated. Fold in chocolate chips. 4. Pour into prepared pan and bake about 30 minutes or until inserted toothpick comes out clean. Let cool completely. 5. Tear brownie mixture into pieces and put into a mixing bowl. While the mixer is running stream in the rum until brownies start clumping together. Continue adding rum to taste. 6. Scoop with a spoon or ice cream scoop and roll into a ball with the palm of your hands. 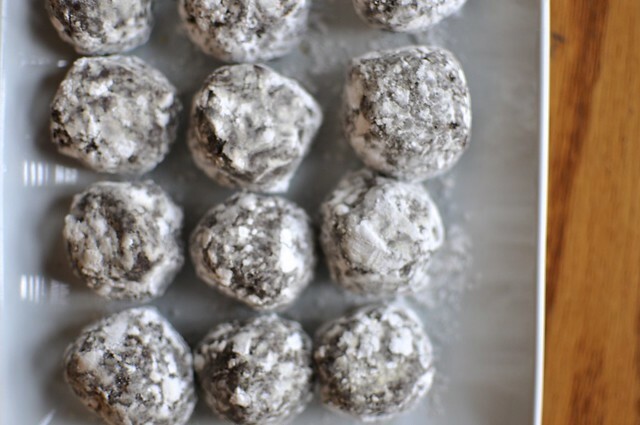 Place balls on parchment paper. 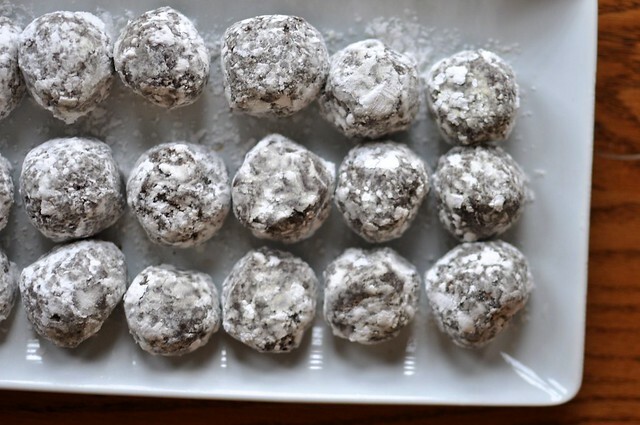 Coat rum ball with powdered sugar and serve.